Step 1: Apply for a Certificate of Eligibility (COE). This is when the immigration department in Japan looks over your application and makes an approval for you to come. This paper is not enough to enter Japan. The Certificate of Eligibility (COE) is a document issued by a regional immigration authority to show that the person applying meets the conditions for landing in Japan. Basically it’s a preliminary visa screening process; the step before the actual step of applying for a visa to enter Japan. The Japanese government approves the COE, and the local consulate approves the visa. Step 2: Take the COE to the closest consulate to where you live and they will give you the entry visa, which will allow you to arrive in Japan. Usually the second step is a formality and you will definitely get the entry visa, however each consulate has their own procedure. The application must be done within Japan so you will need an authorized user or organization to make it. Student visas require the school, working visas would be the company, marriage visas would be the spouse, and so on. 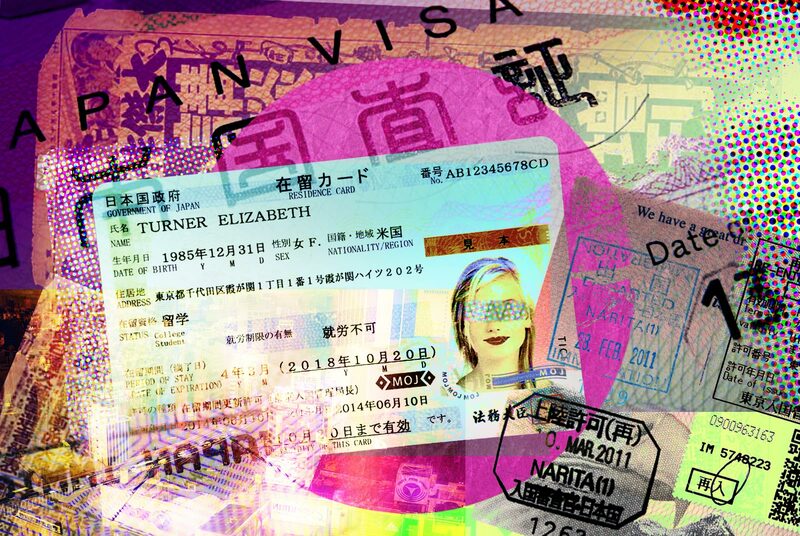 In addition, the needed documents also depend on the visa type. For the most part, you can assume that your sponsor will know what documents are needed and you can follow their direction. However, if they are unsure, you can direct your sponsor to the following resources. Although there is an English site, it is vague and often missing information. It’s best to check the Japanese site as it will show exactly what you need. Once the COE application is submitted then you simply have to wait for the results. There are cases where immigration will ask for additional documents or more information but this isn’t so common. The length of time is inconsistent except for language school students, who have set application and result dates. It could be weeks or months and calling immigration to inquire will only have them confirm that it is “under procedure” with no other useful information. What to do with the COE? Assuming that all goes well, your COE will be granted and the sponsor will pick it up and mail it to you. You will take the documents to your closest consulate along with your passport and they will keep everything for a period of time. Each consulate has their own procedure and therefore it is impossible to predict how long it will take or if any additional details will be requested, but usually it is straightforward. Once completed, you will return to the consulate to pick up your passport with the COE stapled inside and an entry visa stuck into your passport. The entry visa will have an expiry date but this is just for entering Japan, as long as you make it to the country before it expires then you will be fine and it has no relevance as to your actual visa expiration. The air steward will offer you two cards to fill out; a landing card and a customs declaration card. For the landing card you’ll need your passport number and flight information, as well as an address in Japan –this can be wherever you plan to stay initially. If you don’t have a specific address you can just put the city or area. Fill out the card in pen, not pencil, and sign it when you’re done. There are also forms in the immigration area at the airport. With an official entry visa for a mid to long-term stay, and if you’re arriving into Narita, Haneda, Chubu or Kansai, you should get your residence card at the airport. Arriving into a smaller airport means you will have to head to your local city hall as soon as possible to get it there. “The residence card will be issued later” will be stated on your passport when you arrive in Japan, and your residence card will be sent from the immigration office to you around 10 days after you apply. Show your visa to a member of staff who will direct you to the appropriate station. You’ll give your fingerprints, have your photo taken, and you’ll receive your new residence card. If you are coming on a student visa, you should also have a work permission form provided by the school. Give that paper to the officer and he will stamp the back of your residence card with the work permit. If you don’t do this then you’ll have to go to the immigration bureau in your prefecture and it will take much longer. The next step is registering your residence at your local city hall, also called your local municipal or ward office. This should be the office that governs the ward or district where you’re living. Locating your city hall is fairly easy but take care that it might not be the office closest to you, depending on where you are in the administrative area. You have to register within 2 weeks of arrival. If you will not have a permanent address by that time then you can register where you are temporarily staying and then update it when you move. When you arrive tell a staff member you are here to register your address. Fill in some forms, the clerk may ask you questions in Japanese. Some city halls have interpretation services or English-speaking clerks (especially in areas with lots of foreign residents), but if you’re uncomfortable it might be a good idea to take a Japanese speaker with you. After a wait, you’ll get your residence card with your address written on the back, plus an information pack about living in the area. Finally, the city hall will send you your social security and tax number (individual “My Number”, see below) by post at a later date. If you lose your residence card then you will have to go to a Koban (police box) to report it missing, they’ll then give you a piece of paper which proves that you reported it. Take this to immigration with a new photo, fill out a form, and they can typically make a new one for you on the same day. In Japan your visa is tied to your residence card and is stated in plain English and in Japanese. This status is mainly for tourists, short-term visitors and business travelers. Many countries do not need to apply for this visa ahead of time and will automatically get the requirement waived. See the Ministry of Foreign Affairs website for an accurate list. For the majority of these countries, the length of stay is 90 days. If you are from Austria, Germany, Ireland, Liechtenstein, Mexico, Switzerland, or the United Kingdom you can extend this for another 90 days while you are in the country at the immigration bureau. 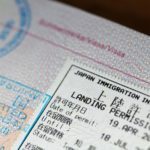 In theory you can re-enter Japan immediately after to get a fresh 90-day visa however there is a risk of being denied entry into the country, especially if you do this too often. If you have over ¥30 million in savings then you can apply for a long-stay tourism visa which instead gives you 180 days and can be extended once for a total time of one year. Visit the MOFA site for details on how to apply for it. If you are not from a visa-waiver country then you will have to apply for a tourist visa through your closest Japanese consulate. These visas are for people who plan to stay in Japan for a longer period of time and will be living here as a proper resident of Japan. As there are many visas this page will only list some basic information about them, for more details please consult the MOFA website. 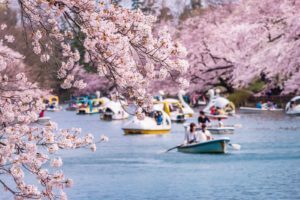 The following visas assume that you are coming to Japan for employment reasons and you will only be able to work in the industry relevant to your visa. Although you cannot work on these visa types at first, in many cases it is possible to apply for permission to work part-time, which is considered under 28 hours a week. You’re qualified to work under the below residential status only for activities specifically designated by the Ministry of Justice. If you happen to stop doing the activity that your visa is for, you have a 3-month grace period to either find somewhere else to continue your activity, change your visa status, or go back home. These visas more or less give complete freedom to do what you want and work any job as long as you continue to fulfill the requirements. 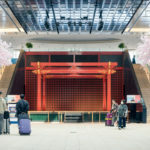 Permanent Resident Given to those who plan to settle in Japan permanently without taking citizenship, application requirements depend on your current visa status and history in Japan. Unlike other visas, this one has no expiry date and you only need to update your residence card every 7 years which is a fairly fast and straightforward process. Long-Term Resident This is similar to Permanent Resident but requires renewal. Used as a general visa for people who have a reason to stay in Japan but may not meet other visa requirements. Examples would be refugees or those who have Japanese children. Spouse or child of Japanese national Also casually referred to as a marriage visa, this is used if you marry a Japanese citizen or are a child of one but do not have citizenship yourself. If you’re under a short-term visa for tourism purposes and would like to change to a long-term visa, you will have to apply for a COE regardless of where you currently residing. If you are still in the country when the COE is issued then it may be possible to change it while you are here. Immigration officially discourages this! You are supposed to go back home and do it “properly” from the Japanese consulate. As of now it appears that most applicants are successful in changing their visa in the country, but there is no guarantee that this will be the case in the future. In addition, each immigration bureau may have their own policy (for example, Osaka immigration is very strict towards people who want to change to a student visa while in the country). If you go this route, understand that you are doing so at your own risk. You will need to fill out a “Change of Status of Residence” form. Your school or job will be able to produce these forms and help you fill out the needed papers. The form is here. Fill it out and bring it to immigration with your COE and passport, they will check your papers and have you write a self-addressed postcard. Do not leave the country while your visa is being processed. Since your current status will be a temporary visitor, if you leave the country then your status will be terminated and the current application and COE linked to this status will also automatically be cancelled. You’ll have to apply for a brand new COE from scratch. Eventually you will receive your postcard back letting you know your visa is ready and instructions on where to pick it up and what other things you should bring with you. Once this is completed you’re officially a resident of Japan and will need to register your address at the local city hall. If you want to do a job or activity that is outside the scope of your current visa then you can apply for a status change. In this case you simply need to have an organization sponsor you and prepare the necessary paperwork. You then simply fill out this form. The forms are almost identical to those for someone who is renewing their visa and the process itself is more or less the same. You take the necessary documents to the immigration office, drop them off and they will stamp the back of your residence card to show that your application is under procedure. Assuming that all goes well, you will receive the postcard telling you that your visa is ready, where to go and what you need to bring with you. Go back to the immigration office with the required documents and they will give you a new residence card. Until you actually receive the new residence card you are still under the rules of your current status, so if for example you change the type of working visa you are on, you cannot actually be employed full-time at the new company until everything is 100% completed. In Japan your visa is tied to your residence card which has the expiration date on it. Immigration is often very busy with applications and you should expect a long wait to process your renewal so it’s best to not wait until the last minute. You can apply for an extension starting from 3 months before your expiration date. You can get the necessary paperwork and an idea of the supporting documents here. Your sponsoring organization will need to produce some documents and fill out some of the application pages. Also note that although you can request a certain visa length (in years), this seems to have very little influence on the length of your new visa and is decided based on other (unpublished) factors. Once you have everything ready, simply go to immigration and submit your application. The agent will do a basic check that you have what you need and then stamp the bottom right corner of the back of your residence card. This stamp essentially extends your visa expiration by 3 months, so even if you application is still under procedure when the date on the front of your card passes, you’ll still be a legal resident. You will definitely get the result before the extra 3 months pass, so don’t worry! Eventually you will get a postcard in the mail with information on where to go and what to bring with you. Bring everything to immigration and they will punch a hole through your old card and give it back to you along with a new one. If you are registered with the automated entry/exit gates at the airport or have a My Number Card then you will also have to get these updated, as they will also have expired on the same date as your previous visa. The automated gates can be done right at the immigration office but you will have to visit your city/ward office to update your My Number Card. 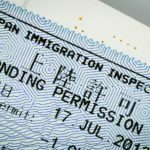 As a foreigner in Japan, there is a good chance that you will have to visit the dreaded “Immigration” at some point, usually for a visa renewal or to change your visa status. Each region of Japan is under the control of an immigration bureau, and there are several branch offices for nearby prefectures and cities under the bureau. Go to the one closest to where you live. Immigration has been incredibly busy recently due to a record number of foreign residents in Japan and a larger number of complicated applications related to the Highly Skilled Professional status. Before a visit to a bureau, load up a few movies on your phone or tablet because you’ll probably have plenty of time to watch them. Once you’ve handed in your forms, if everything is fine then they’ll give you a receipt with your application number (do not lose this) and you’re done for the day. If there is an issue with your application or they have more questions then they will contact you, but otherwise there will be no updates until the notification postcard shows up in your mailbox. If the postcard arrives then it’s almost guaranteed that your application was successful and you simply need to pick up your new residence card. The postcard will tell you which counter to go to in the office and also what you need to bring with you. You will need to buy a revenue stamp to cover mystery costs, for most procedures it’s ¥4,000. Usually you can buy these at a convenience store in or near to the bureau. When you go to the counter stated on the postcard you line up again, give your things to the agent, get a number, and wait until your number is called. They call the numbers in batches of about ten at a time and you line up to collect your new residence card. Double-check that the information on your residence card is correct, and that’s it, you’re all finished! Some cities or wards may also offer consultations for foreigners that live in the area. It is likely either the city’s English site or an international association funded by the city will have information about this. Here is a list for residents of Tokyo. The My Number (also annoyingly translated literally as “Individual Number” in some official channels) system was introduced in 2015 in order to provide a central database for residents in Japan for a variety of reasons. For most practical purposes, it is a tax identification number that you will need for financial-related matters including filling out taxes and doing overseas bank transfers. The usage of My Number may also expand in the future. When you arrive in Japan as a foreign residence with a residence card you will automatically be sent a “Notification Card” once you register your address at the city hall. This is just a piece of paper with a card portion that can be cut out that has your number on it. Put this card away somewhere safe. If you do lose your number then you can get a jyuminhyo (住民票) and it’ll be listed on it. You can also request a new notification card at the My Number desk although they will probably encourage you to make a card. If you leave Japan your number is still active and if you ever return then you’ll use the same number as before, so you should keep it in a safe place as reissuing it will be a hassle later. At the moment My Number is mainly used for tax and banking purposes and is not related to your immigration record or insurance payments. The photo booth is probably the easiest and a guaranteed way to have a high-quality photo taken, although you will have to search for a machine which supports the application service. The above website has a few links in Japanese which will allow you to search for such machines. Annoyingly, your My Number card will expire with your current residence card. When you renew your visa, you will also have to update your My Number card at the city hall. How do the new requirements for permanent residency in Japan affect foreign residents?